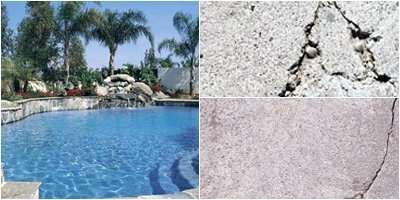 Underwater Pool Repair Mortar | Fast Set Repair Adhesive | Superior Industries, Inc. Pro Patch 600 is a professional grade repair mortar that can be used in or out of water for excellent patching results. This fast setting, high strength patching mortar offers exceptional impact resistance, bond strength, and adhesion properties. 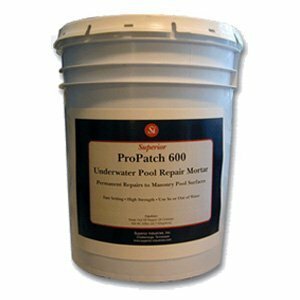 Whether you’re looking to make a permanent repair or an emergency has just arisen and you need a quick, lasting fix – Pro Patch 600 is the underwater swimming pool repair mortar for you. This repair mortar/adhesive is excellent for replacing loose or broken tiles and creates a stronger surface than the original. 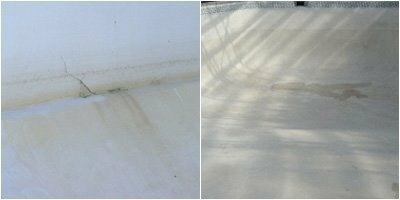 Halt water loss in your pool by applying Pro Patch 600 underwater pool repair mortar over the leaking crack. 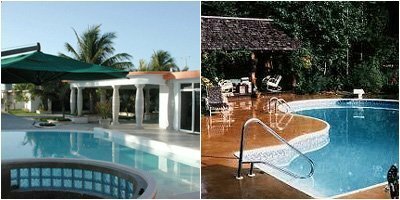 Pro Patch 600 is a permanent, economical, and time sensitive fix, and you won’t even have to drain the water from your pool to make the necessary repairs. 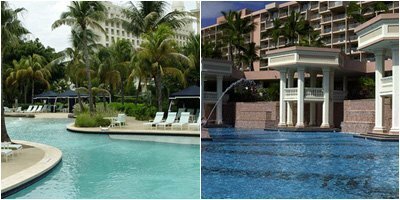 Pro Patch 600 is ideal for use by residential owners, pool service companies, country clubs, spas, gyms, golf course pond maintenance, landscapers, hotels, apartment complexes, and more. Pro Patch 600 can be used anywhere high early strength and fast set times are required for patching. Although it was primarily designed for underwater use, it also performs well out of the water. 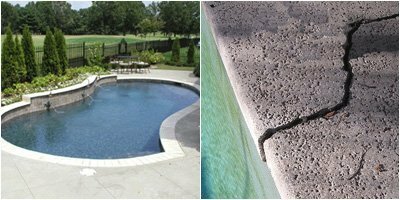 Useful for both permanent and emergency repairs, Pro Patch 600 is ideal for use in swimming pools, masonry fountains and ponds to fill underwater cracks. 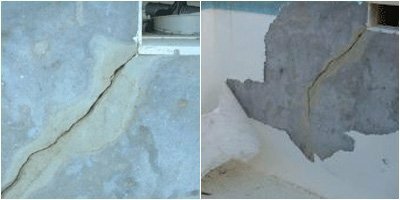 It can also be used to repair precast concrete, precast concrete piping, or repair concrete holding tanks. Pro Patch 600 delivers dependable results in minutes, offering a fast curing time of only about 30 minutes (at 70°F, 21°C). Pro Patch 600 is available in 10 lb pails and 50 lb pails (53 lb weight). The approximate yield is 0.4 cu. ft. (0.01 cu. m.) per 50 lb. pail. This underwater pool repair mortar simply needs to be mixed with water; no additional products are needed. Pro Patch 600 can be mixed manually or by mechanical means. Pro Patch 600 is white in color, but cement colorants may be added if desired. Cementious coatings may be applied over Pro Patch 600 immediately after it has been applied, and paint can be applied after Pro Patch 600 has set for 1 hour. After its initial set time, Pro Patch 600 can be shaved flush with the side of the pool. Instructions: Mix 3 or 4 parts of Pro Patch 600 with 1 part of water, combining by hand or with a machine for about 1 minute until a putty or trowel consistency results. Be sure that the substrate is clean, sound, and properly prepared before applying. The minimum ambient surface temperature should be at least 50°F (10°C) and on the rise at the time of application. Pro Patch 600 should not be applied to frozen surfaces and should not be re-tempered or combined with any admixture. At 70°F (21°C), Pro Patch 600 has a pot life of 10-15 minutes and cures in about 30 minutes. Note that cold water (40°F, 4°C) will slow its set time and hot water (90°F, 32°C) will speed up its set time. Pro Patch 600 is not intended to be used as an overlay. It is not necessary to use a primer before applying Pro Patch 600. Store Pro Patch 600 at temperatures of 45°F (7°C) or higher and keep it away from excessive humidity and heat. See the product label for more detailed application instructions.